Mix all ingredients except cheese in 12-inch nonstick skillet. Heat to boiling, stirring occasionally; reduce heat. Cover and simmer 10 to 14 minutes, stirring frequently, until macaroni is tender. Stir in cheese until melted. 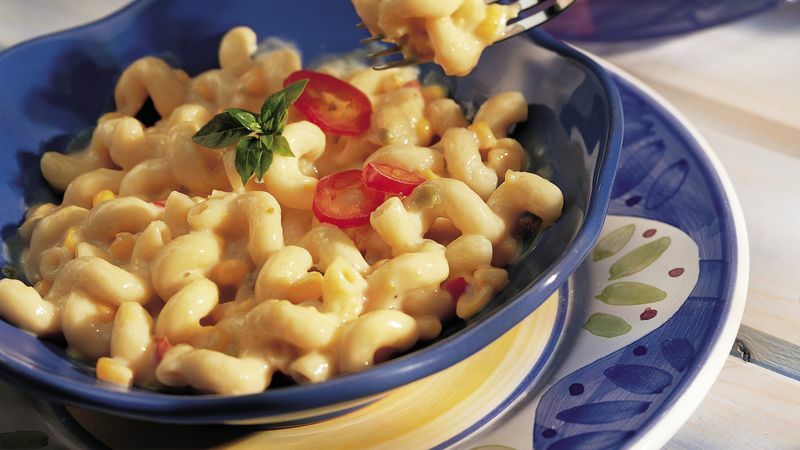 You can find cavatappi--short, spiral macaroni with ridges--in specialty food stores. Must have meat? Stir about 1 cup of cubed fully cooked ham into this can-do-quick skillet dish until heated through.